The environment around us is becoming increasingly polluted. This includes one of our most precious natural resources—water. Clean water is essential to human survival. Due to increased pollution, water treatment methods are becoming increasingly important as well. As regards scientifically proven methods, the plasma water treatment by electrical discharge method is ousting the water chlorination method applied over the last 100 years. An international research group led by Professor at the TalTech Department of Material and Environmental Technology Sergei Preis published a scientific article "Surfactant and non-surfactant radical scavengers in aqueous reactions induced by pulsed corona discharge treatment" on this subject in the Journal of Electrostatics. Professor Sergei Preis says, "Use of chlorine for water treatment was completely revolutionary 100 years ago, eliminating pathogenic bacteria and viruses found in drinking water and thereby saving numerous human lives. Indeed, chlorine has so far been an inexpensive and efficient water disinfectant, killing bacteria hazardous to humans. However, the drawback is its side effect caused by the inevitable exposure of chlorine to dissolved organic substances, mostly humic substances (dead plant matter) and various extracellular metabolites. Unfortunately, upon such exposure chlorine will produce carcinogenic, i.e. cancer-causing substances." In order to reduce the risk of cancer, some European countries (such as the Netherlands, Finland, Denmark) have introduced more radical pipeline maintenance measures (i.e. regular pipeline inspection and renewal). In this case chlorine need not be added to domestic water, but unfortunately such water is not 100 percent drinkable. A more efficient, but several times more expensive water treatment method is ozonation. However, ozone water treatment is considered to be a privilege of larger and wealthier countries (e.g. the USA, Switzerland, France) and only a very small proportion of ozone-treated drinking water can be produced worldwide. "As a result of the last five years of research, our research team has developed a reliable novel, plasma water treatment by electrical discharge method. In this method, water is showered between electrodes with discharge pulses of voltage pulse amplitude of 18-20 kV. By this method we can produce drinking water as suitable for consumption as the one produced by ozonation. No carcinogens are produced and the process is three times less expensive," Sergei Preis says. 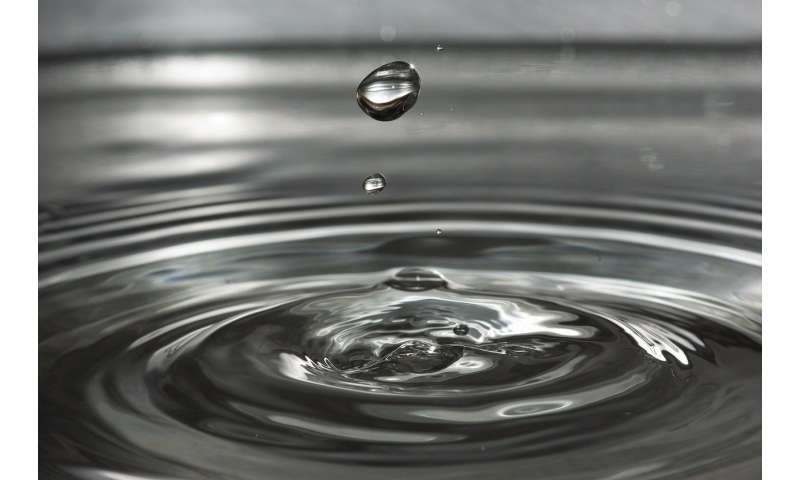 There are two issues with water disinfection. The first is to disinfect the water. All of the above technologies do that. However, the water then has to make a trip through the distribution system to get to your house. The pipes in that distribution system may not be sanitary. So a chlorine residual is used to keep the water sanitary on it's trip toward your faucet. Ozone can also be used if the water detention time in the system is relatively short (less than a day). But this method would have to be reintroduced at various stages through the distribution system and even then, the opportunity for bacteria or viruses to grow would remain. So it's probably sufficient for home level disinfection, but not for city water applications.